Keep your loved ones close to your heart in this Personalized Filigree Heart Locket with Cross. Beautifully detailed filigree heart locket opens to reveal your photos. 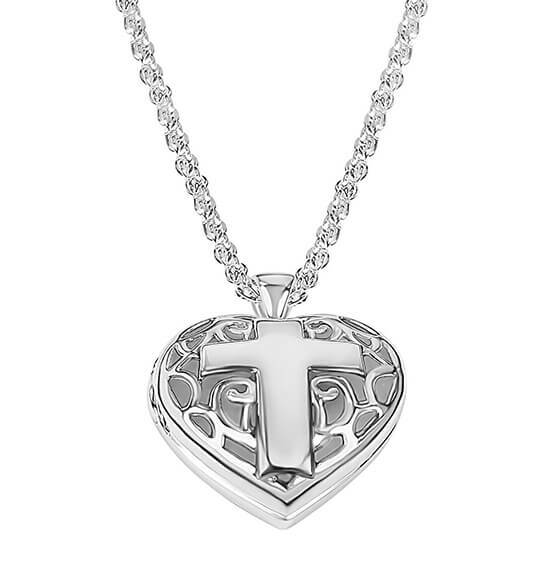 The cross on the front can be personalized, making it a truly inspiring keepsake. Specify name.